Authors: Eleni Stoumbou has made several short archaeology films and contributes to Archaeology Magazine. She studied documentary filmmaking at Université Paris Ouest Nanterre La Défense. 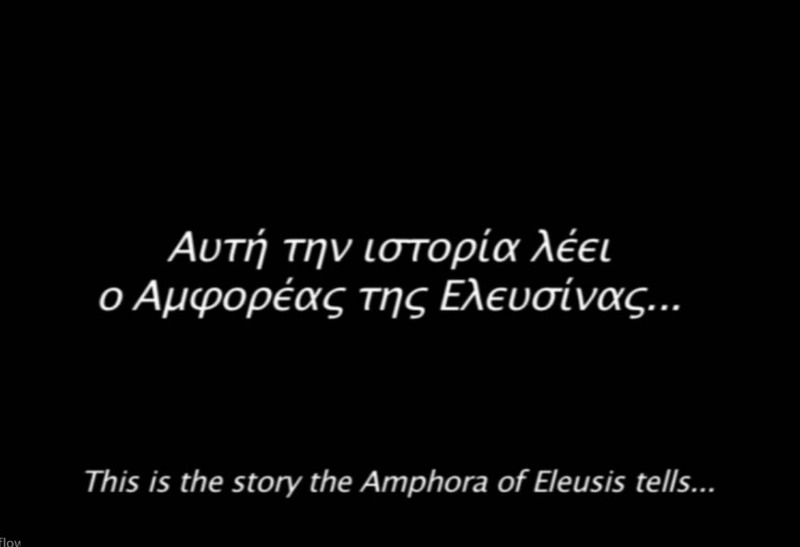 A delightful short video subtitled in Greek and English that takes the viewer through the story of Odysseus and the Cyclops as if it were being told to a child using the decorated amphora of Eleusis as a story book. The soundtrack is performed in part with a Cretan lyre and compliments the subject–light and repetitive without being grating. There are some slightly cheesy Adobe After Effects and a random and jarring animation, but they don’t detract too much from the film. A simple, creative exploration of an artifact that shows the potential for archaeology films to go beyond a simple expository framework. 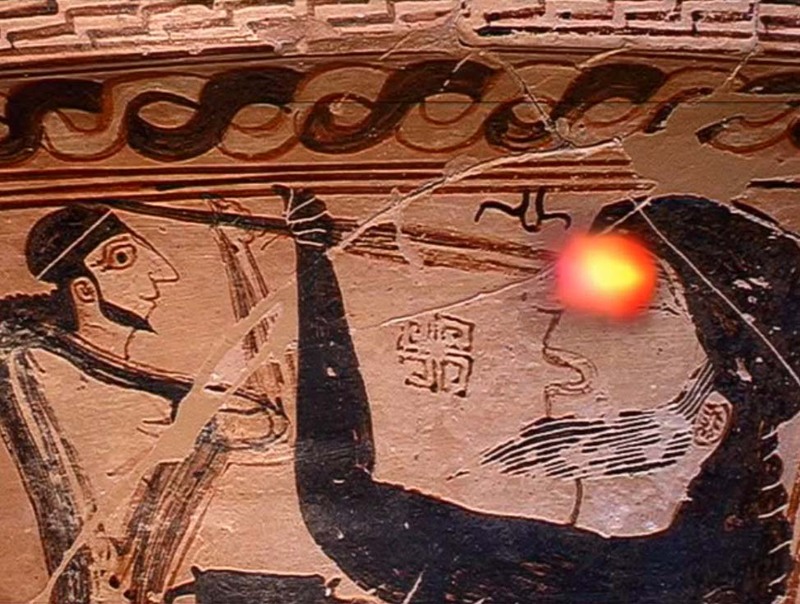 I was delighted by the presentation of the amphora and then the progression of the film to show a mother and child looking at the artifact in a museum. There’s even a slightly macabre twist near the end! Absolutely one to show archaeology, conservation & museum students as an example of how to make a simple, engaging film using a single artifact. thank you for writing this review on my Amphora film and your positive comments. As my work is a gaze on ancient artifacts and works of art, allow me to propose to you a recent short film on the depiction of a macedonian symposium of the 4th c. B.C., not accessible to visitors so far: The macedonian tomb of Hagios Athanassios, Thessaloniki.